January 17, 2019 (ASBURY PARK, NJ) – Proceeds from the 1st Annual A Very Asbury Holiday Show held at the Paramount Theater on December 9th were recently distributed to the show’s benefitting charities in Asbury Park. 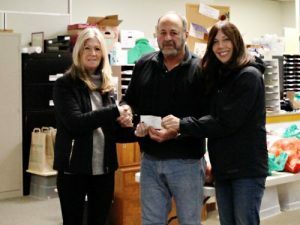 Show producers Eileen Chapman, an APMF board member, and Jeri Houseworth, the Operations Manager, presented $5,000 checks to the Asbury Park Toy Drive, the Boys and Girls Clubs of Monmouth County and Jewish Family & Children’s Service of Monmouth County. The Asbury Park Music Foundation will be directing its portion of the funds raised to introduce new Music Saved My Life programs in Asbury Park schools in partnership with Lakehouse Music Academy. These new programs expand on APMFs current funding of in-school, after-school and private lesson scholarships. All four of these charities collectively focus on improving the lives of the under-served youth in the Asbury Park area. “When planning this show, one of our goals was to raise money for organizations that provide much-needed assistance to families in our area and provide a little extra cheer during the holiday season. Holidays have a way of bringing people together and this was truly a team effort. Many of our local musicians often donate their time for charities but we were overwhelmed by their generosity and enthusiasm for this benefit concert and look forward to making this an annual tradition” said Chapman. The sold-out benefit show, produced by and for the Asbury Park Music Foundation, raised close to $55,000 through the generosity of sponsors and ticket buyers. The 3½ hour concert event brought together several generations of musicians with a total of 60 local and national artists performing. Included in the line-up were JT Bowen, Remember Jones, Bobby Bandiera, The Weeklings, Danny Clinch with Tangiers Blues Band, Williams Honor and Anthony Krizan from the Spin Doctors, who were joined by guest singers and backed by an all-star band led by Pat Roddy and directed by Tony Perruso. 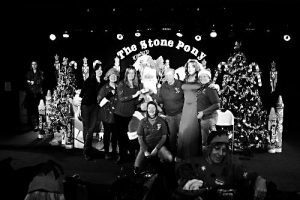 “It was a fantastic way to kick off the holiday season with so many musicians that are beloved in Asbury Park, introduce the audience to newer musicians they might not have been familiar with but more importantly, raise funds for local organizations in Asbury Park that offer assistance to the community throughout the year” added Houseworth. Sponsors of the event included Asbury Park Press, Max & Bella Shulman Endowment, MOGO Korean Fusion Tacos, Fortune Web Marketing, Family Medicine Institute, Buhler Ford of Eatontown, Atlantic Coast Urology, Neurosurgeons of NJ, Zager Fuchs PC, Investors Bank, Rockcrete Recycling, Livingstone Family, Douglas Development, Madison Marquette and Asbury Audio. The concert was such a success that APMF has already scheduled next year’s concert for December 8th at the Paramount Theatre. The Asbury Park Music Foundation provides music-based programs, events and resources that generate opportunities for our youth, artists and community to succeed and build on Asbury Park’s legacy as a thriving, music-rich city by the sea. 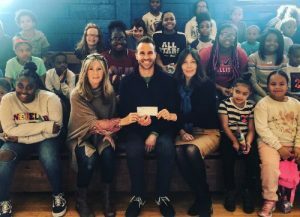 Funds raised by APMF support youth music programs, including the Hip Hop Institute at the Boys & Girls Club of Monmouth County, in-school music classes at Hope Academy, after-school music classes at Lady of Mt. Carmel School and Asbury Park public schools, and scholarships for under-served youth to attend the Lakehouse Academy. Additional information on the Foundation’s programs and events are available at www.asburyparkmusiclives.org or https://www.facebook.com/asburyparkmusiclives/.